It has been a while since I ordered a Julep Maven Box. None of the past boxes really excited me, but then I saw that December's box would include a little eyeshadow palette and I couldn't resist. 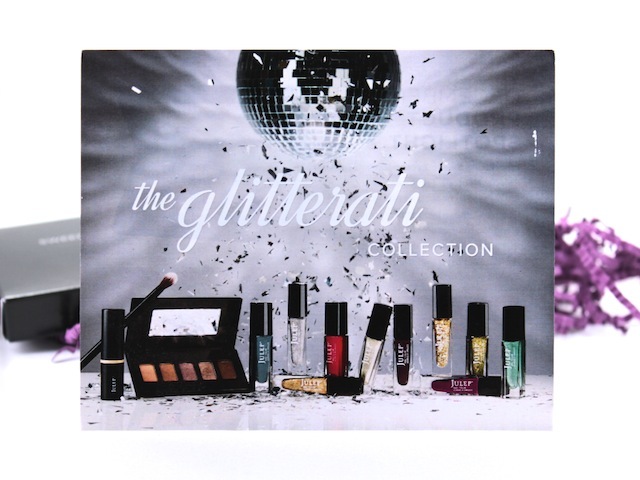 The theme this month was Glitterati -- lots of shimmer and glitter. I went with the Bombshell box instead of my preordained Classic with a Twist box, but both boxes had great colours, though. Let's start with the polishes included in the box. First, the polishes came neatly boxed in thin cardboard packaging. I love that the bottles now come with "swatch" stickers on the lids -- it's a great way to see the colours when they're stored away. Both polishes applied beautifully. There's Cara a frosted cranberry and Andrea a sparkling full-coverage gold glitter. 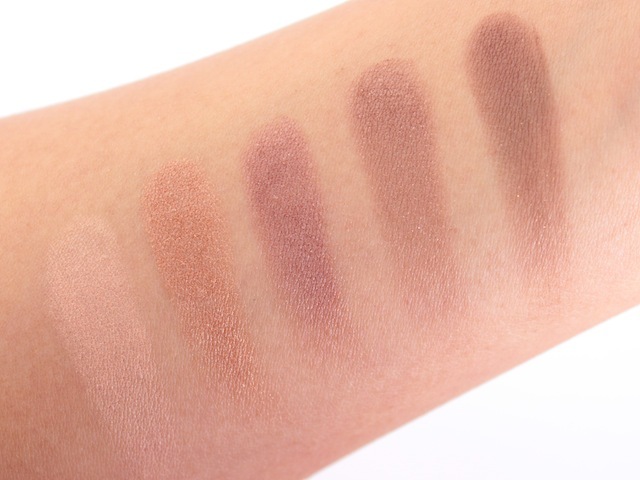 I only used one coat in the swatches below, great pigmentation & opacity. 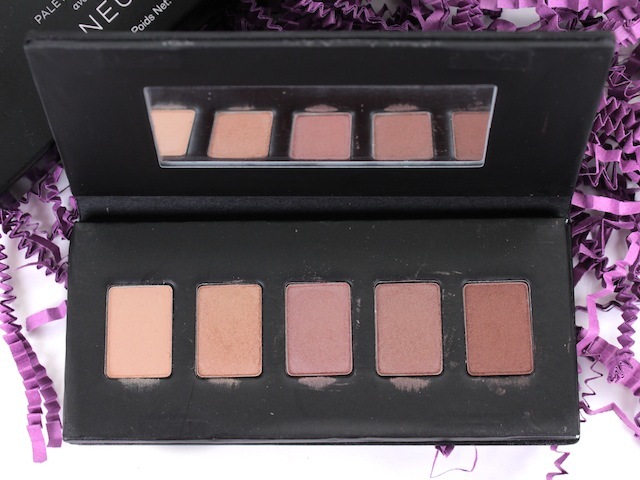 Moving onto the bonus product inside this box: the Sweep Eyeshadow Palette in Neutrals. 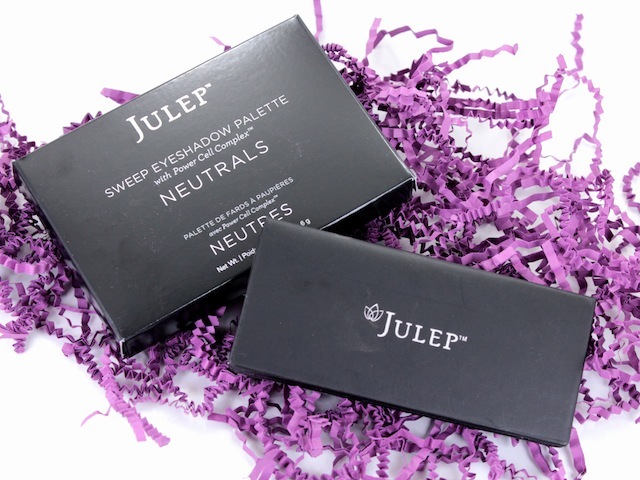 I love when Julep includes beauty products in their boxes (although, I didn't have much luck with their DD Cream). While the packaging leaves something to be desired (it's in a simple, albeit flimsy, cardboard case), but eyeshadows are actually quite nice. They are pigmented, easy to apply, and smooth to blend. i don't subscribe to julep but i'm really loving the gold glitter polish! it would look so good paired with so many colors. i think owning a few glitters is a great way to switch up your colors and an easy way to fancy up your nails.